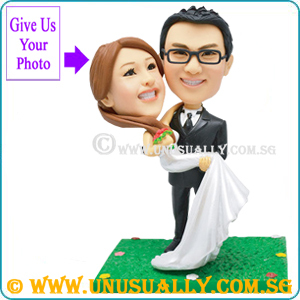 * Female glown will have pink & white colors version. 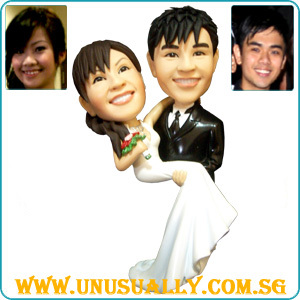 * Can add base or background to the figurines. 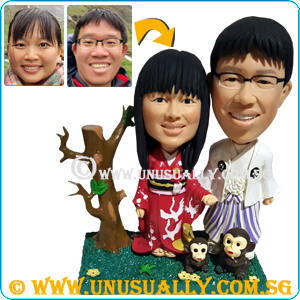 * As this is a 3D caricature caricature or dolly, we promise our customers a 60 - 70% resemblance to the photo supplied but not the real person as artists refers to the photo to hand-make the caricature or dolly. 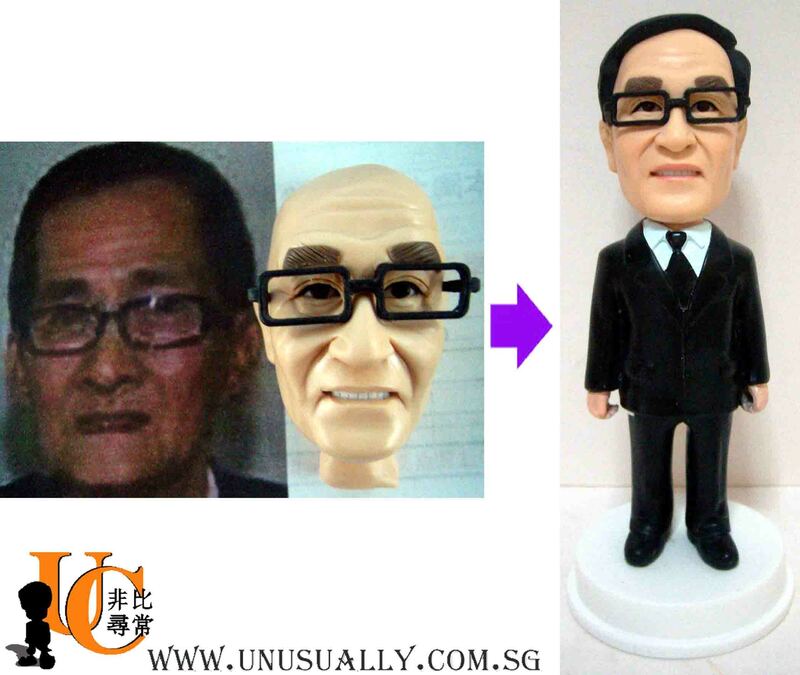 * For standard order, we will provide head proofing process to ensure the figurine resemble to the person photo. 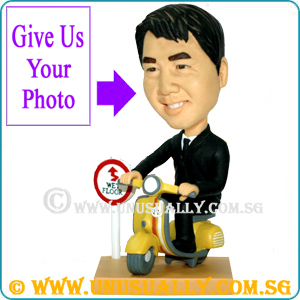 This process will be provided to customers free of charge as an additional services to protect customers interest. 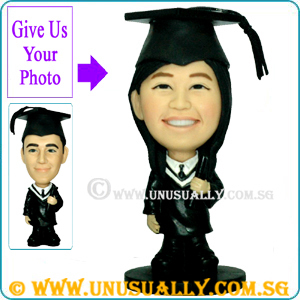 * With additional SGD 25.00 per figurine, you can make the neck of the figurine as bobble neck.